You know how it is – you finish shaving, delighted at your clean, fresh look, only to look down and discover the horror of seeing your sink and countertop covered in unpleasant hair clippings. Tidying up all those bits is nearly impossible, as they seem to be glued to every surface. What to do? Luckily, for men all over the world, there is now a revolutionary product that elegantly solves the problem: the Beard Bib. 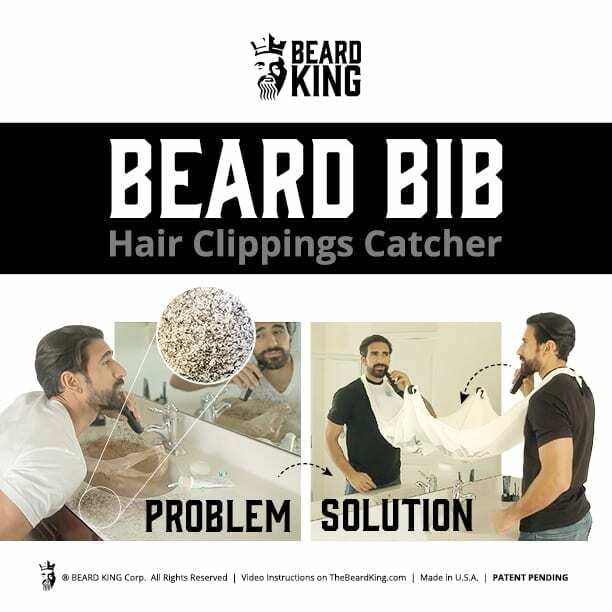 Although you might laugh when you first hear the words “beard” and “bib” together, once you see how this amazing product works, you’ll kick yourself for not having invented it yourself. One end of the Beard Bib ties around your neck, while the other end attaches to your mirror using convenient suction cups, thus creating a kind of hammock. Perform your natural shaving routine, and all of those millions of tiny hair bits will fall right onto the Beard Bib. When you’re done, clean up is a snap, and your sink and countertop are left spotless and completely hair-free, leaving you to go about your day. The Beard Bib has already taken Britain and America by storm, but the good news is that it is now also available in Australia! Simply click here to order yours today. Once you experience the benefits of a good shave without leaving an untidy mess in your bathroom, you’ll wonder how you ever lived without the Beard Bib.